Cape Town - Golden Arrows went some way to avenging their Telkom Knockout defeat to Orlando Pirates with a hard-fought point in their 0-0 draw at the Orlando Stadium on Tuesday night. Orlando Pirates started well with some precise passing but had to wait until the 13th minute for the first real chance of the game as Thabo Matlaba tested Arrows stopper Nkosingiphile Gumede with a stinging drive from range. The visitors dealt with the resultant corner while keeping Pirates at bay without creating any chances of their own in the opening exchanges. Gumede came off his line well on 27 minutes to collect a Thabo Qalinge shot, after the wideman had made his way through the Arrows defence. Mpho Makola was then off target from a 29th minute set-piece before Jackson Mabokgwane's first meaningful participation saw him collect an underwhelming effort from Kudakwashe Mahachi. Makola was overly ambitious with a long-range lob with Gumede slightly off his line on 36 minutes, as the half ended with the away side frantically clearing their lines, with Pirates on top. 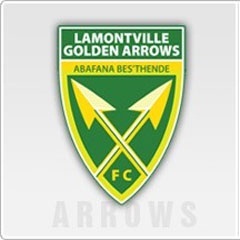 Arrows had looked to attacked Pirates on the counter, but lacked the required quality in the final third to truly trouble their opponents. A deflected Thembinkosi Lorch shot at the start of the second half was never going to trouble Gumede as Justice Chabalala headed the resultant corner wide of the mark. Mabokgwane dealt comfortably with a Knox Mutizwa shot on 54 minutes following a better spell from Arrows ahead of probably the best chance of the tie on 63 minutes. Chabalala somehow fired wide from close range after Gumede had expertly denied Musa Nyatama as the ball fell kindly to him following some pinball in the box. Pirates continued to search for an opening, but were frustrated again by Gumede as he kept out a close-range Ntsikelelo Nyauza effort, and an 89th minute Matlaba snapshot. Try as they might, the hosts were unable to break down the in-form Premiership side, who moved above Cape Town City into second place on the standings, with Bucs one place up to sixth on 15 points, just one shy of Arrows after 11 games.